Tameeka Time: Tameeka Time on P.O.O.P.T.! 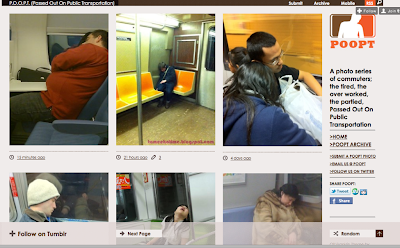 One of my Sleepy Monday Photos has been featured on the oh so hilarious site P.O.O.P.T. Some of you may wonder what POOPT means, it's Passed Out On Public Transportation !! Don't forget to check out their site and subscribe! OH and follow them on twitter!